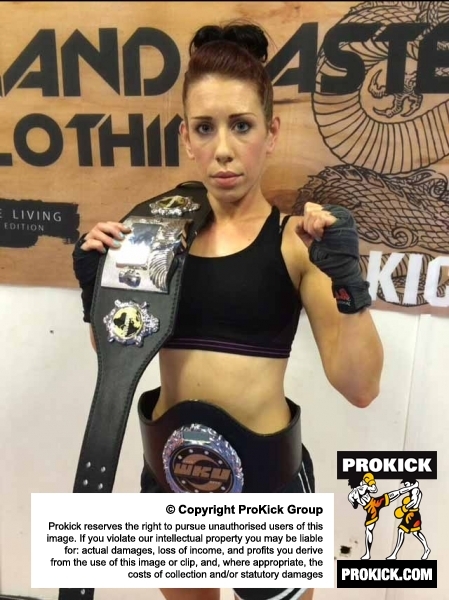 On June 14th one of Ireland's most successful female martial artist - Cathy McAleer, will go through the ropes as part of her preparation and campaign in a quest to be a WKN world kickboxing champion. And this will all happen at the Holiday Inn two weeks for now in Belfast. 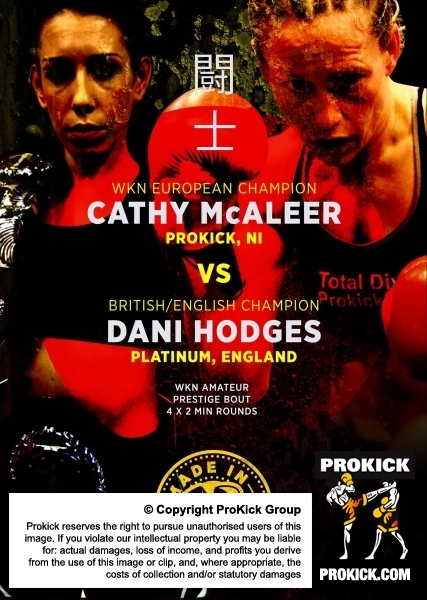 McAleer, will face English and British kickboxing champion Dani Hodges of Burntwood, England. The 27 year-old Hodges, has an impressive fight record of 12 fights, and with only a single blemish on her record. The Match between McAleer and Hodges will be over 4x2 minute rounds and contested under Full-Contact rules with both fighters coming in at 53kg. There may be no title on the line but everything is to fight for as the victor will move forward at the end of the year for a possible world title at the Ulster hall at KICKmas Dec 6th 2015. Billy Murray said this earlier today: " This will not be an easy fight for Cathy, make no mistake Dani is not coming to Belfast for another defeat on her record. She has good pedigree as a fighter and comes from a good club who are well grounded in competition. He added, Cathy has never taken any opponent lightly, respects them all but she too is a force to be reckoned with. This will be a show-stopper of a match." Cathy who Manages Virgin Active Health club in Belfast, faced WKN K1-style world kickboxing champion Fadma Basrir in Paris, France exactly one year ago on June 14th 2014 and lost on a close points verdict. She'll not be looking to take second place on this bout, but nor will Dani Hodges either. The rest of the undercard will be made up of various fighters from all over Ireland, Switzerland and England who will face the ProKick team. Big thanks to Lee Goodwin Dani's coach - see you all soon in Belfast. This is going to be another win for Cathy! We are all so proud of you in the club - being able to train hard and manage the club at the same time is amazing!! We are behind you 100% and we can’t wait for fight night!!! Go Cathy!!!!!!!!!!!!!!!!!!! You can do it!!!!!!!!!!!!!!!!! Cathy is one hell of a dedicated lady. Hands down the most impressive person I have ever met, can’t wait to see the fight!! Gonna be a close call but the Mac Attack will win!! !